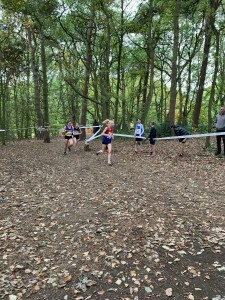 A small number of our junior athletes travelled across to Mansfield’s Berry Hill Park to compete in the National Cross Country Championships on Saturday 3rd November. 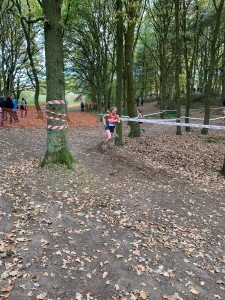 In the U/13 Girls Race Lucy Brownsword came back in 8:37 in 79th (running 45 seconds quicker than last year!) Well done Lucy. 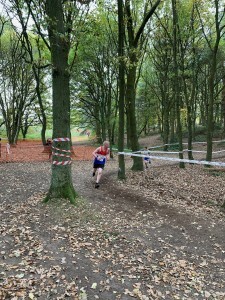 In the U/17 Mens Race we had Elliot Smith on first leg and he ran 10:56 to come back in 88th passing on to Thomas Mogg who ran 12:09 to come in 82nd. 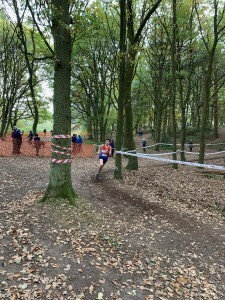 The men didn’t have a full team but both Elliot and Thomas gained great experience running against this calibre of competition. Well done Elliot and Thomas. 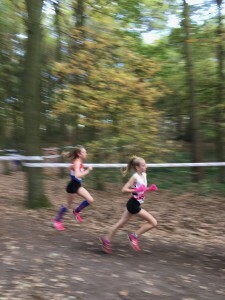 In the U/17 Women’s Race we had 4 athletes so 1 full team and 1 part team. 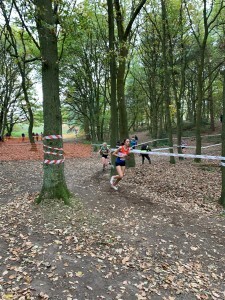 On the slightly shorter leg 1 we had Nadine Tomkinson running 9:55 for 52nd and Misha Twardochleb running 10:30 for 68th. ON leg 2 Elizabeth Clarkson ran 10:12 bringing the team up to 43rd position. 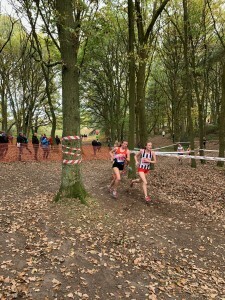 On the final leg Scarlett Cotton anchored the team home in 10:22 to finish in 36th position. 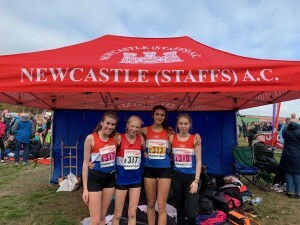 Well done to all four U/17’s, Misha, Scarlett, Lizzie and Nadine. Lucy – so fast we couldn’t photograph her properly!